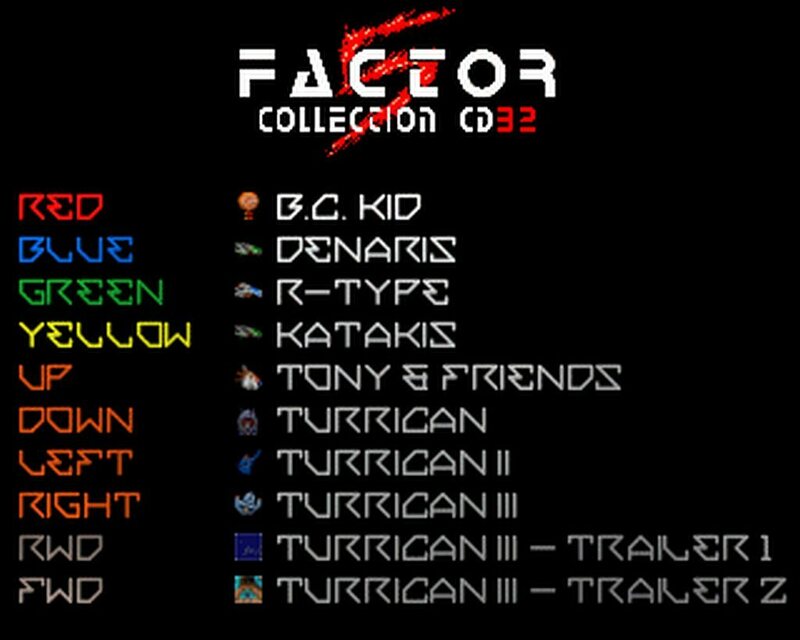 Indie Retro News: Factor 5 The Complete Amiga Works - Unofficial Amiga CD32 release from Amiga Jay features Turrican! 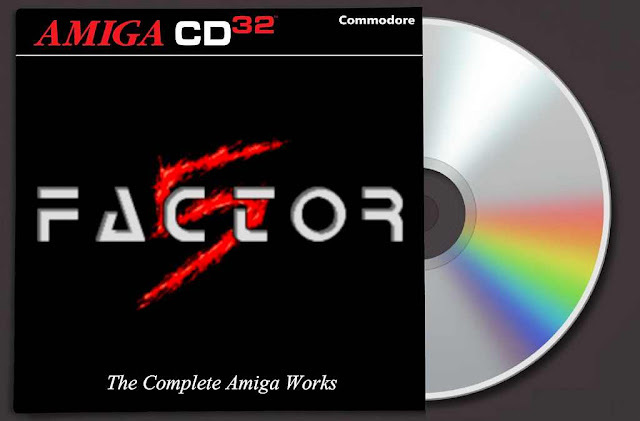 Factor 5 The Complete Amiga Works - Unofficial Amiga CD32 release from Amiga Jay features Turrican! A bit of a late one for Indie Retro News but it just had to be spread far and wide, as Amiga Jay has released the 'Factor 5 The Complete Amiga Works - an unofficial Amiga CD32 release'. This could well be the highlight of Amiga Jay's compilation packs, as it features many of Factor 5's incredible games that most of us still play and talk about to this day. Games such as R-Type, Turrican, Turrican II and Turrican 3. But other games are also included like B.C Kid, Denaris, Katakis and Tony & Friends in Kellogg's Land. That's 8 incredible games you'll be playing again and again on your Amiga CD32! Out of all the games in the listing, R-Type just has to be my favorite. It is a Shoot Em Up which features many waves of enemies some of them extremely deadly, a beam weapon, power ups, good level detail, big menacing bosses and a fantastic soundtrack that you will listen to again and again. As such I myself have spent many hours playing this game, more so on the Amiga than any other system version.